Often called “the Kafka of Romania,” Max Blecher died young but not before creating this incandescent novel. 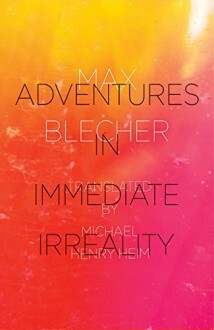 Adventures in Immediate Irreality, the masterwork of Max Blecher—a magnificent writer who brings to mind Bruno Schulz—paints in vivid colors the crises of “irreality” that plagued him in his youth, eerie mirages wherein he would glimpse future events, glowing glimpses unsettling in every way. In gliding chapters that move with a peculiar dream logic of their own, this memoiristic novella sketches the tremulous, frightening and exhilarating awakenings of a very young man.